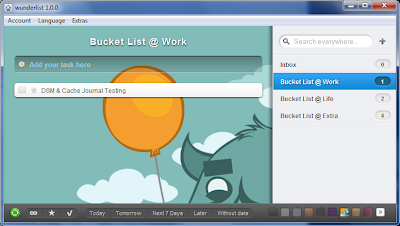 You can complete a task by checking the leftmost box of the task. You can also filter the listed task by date, just click either Today, Tomorrow, Next 7 Days, Later and Without date from the status bar. If you feel bored with the current background, you may also change it by clicking any of the available backgrounds on the bottom bar.